Women's Inc., Women in Business edition. 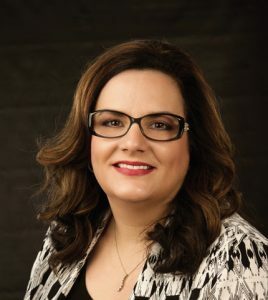 Kim started The Blue Focus to help those with a small-business budget access large-business resources. 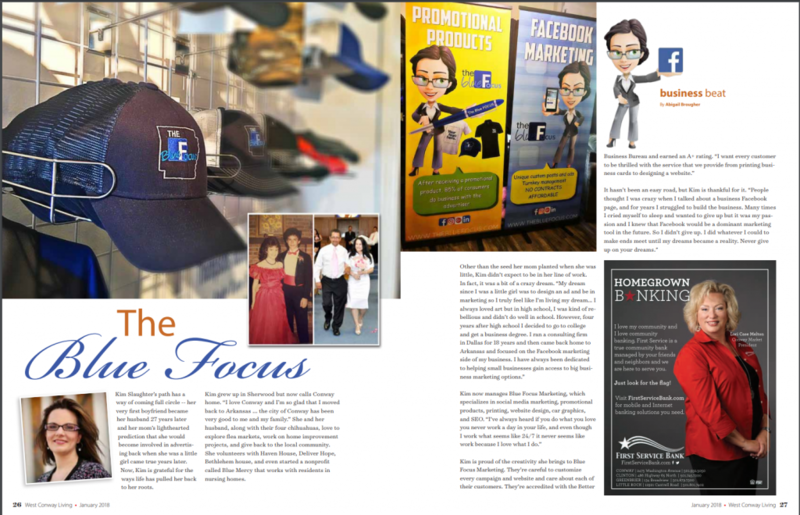 The company began exclusively creating, growing and managing Facebook business pages and has since expanded to include graphic design, animated explainer videos, promotional products and printing services. 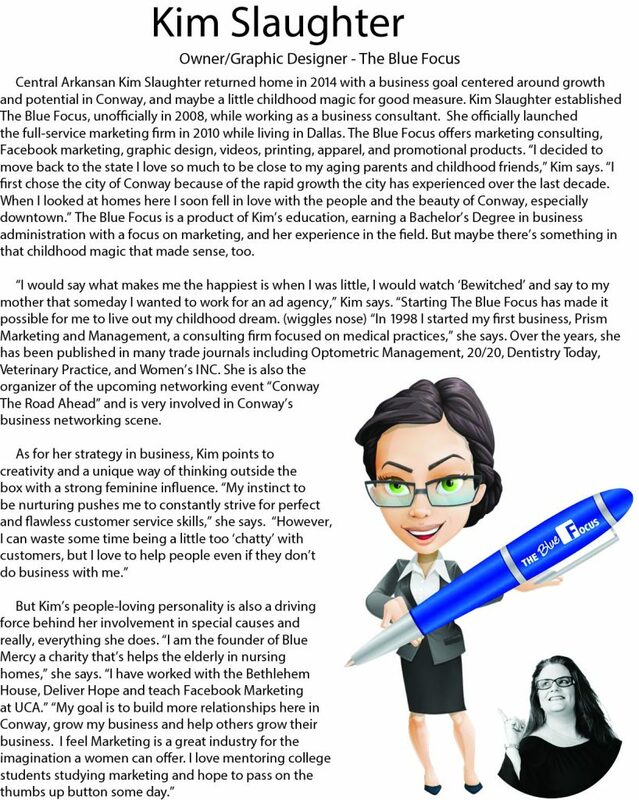 Before coming to Conway, Kim started Prism Marketing and Management and Blue Mercy, both in Dallas. Kim is involved with local nonprofits, including Bethlehem House and Deliver Hope.